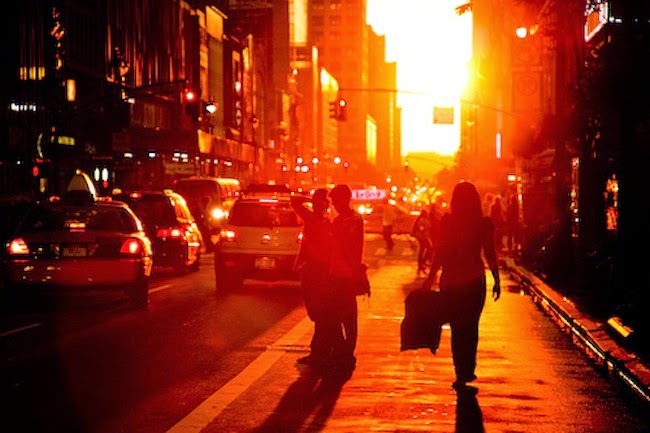 It will illuminate the city’s deep canyons and wash the streets in peachy light.Then it will set on the streets’ center lines, at 8:16. 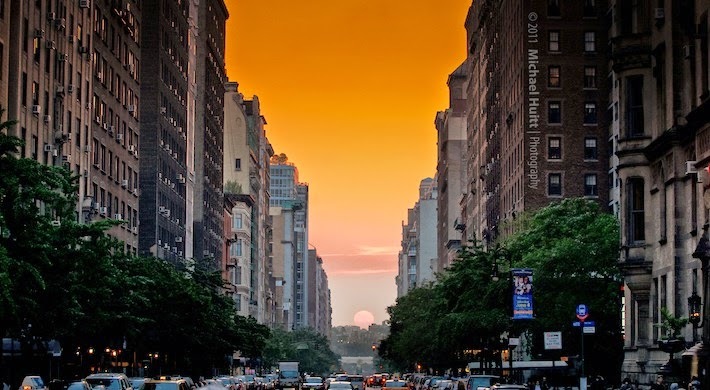 It illuminate the city’s deep canyons and wash the streets in peachy light. 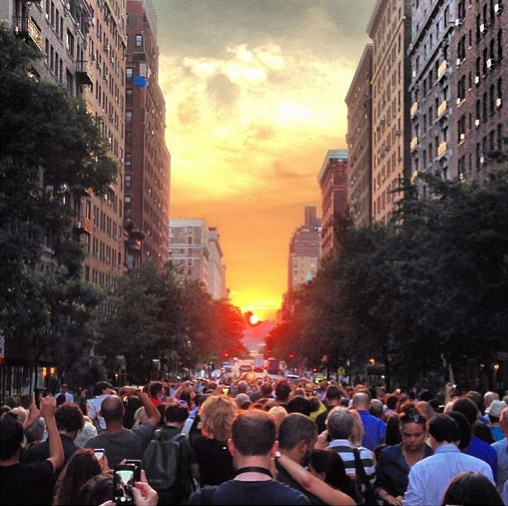 Manhattanhenge returns Thursday night for the first of two 2014 engagements.